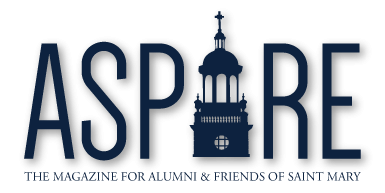 Find more info about all of the homecoming events at stmary.edu/Homecoming. 5K Run – 8 a.m.
Football Tailgate – 11 a.m.
Football Game – 1:30 p.m.
Soccer Tailgate – 5 p.m.
Women’s Soccer Game – 6 p.m.
Men’s Soccer Game – 8 p.m.
Grand Street Café—honoring Dr. William Krusemark. Saturday, April. 1 | 6 p.m.